9am Depart for Ely. Route is about 80 miles with little tono locations for resupply. I will have an aid station out on course on the first and last day. We do this as a potluck, so bring some ride food to share. I will have a cooler of drinks and drinking water. I will email all participants a PDF with cues and GPX files soon. If you are not registered you will not get the route. You will need to arrange lodging in Ely for Friday and Saturday night. There are tons of places to stay in Ely. Please tag you luggage with your name and lodging location so I can make sure it is there when you check in. Usually we try to get together to eat dinner somewhere once everyone gets into town. I will see if I can find an establishment that can host us. 9am Depart from Bandstand at Whiteside Park in Ely. The route will make a large loop out to the west of Ely. Total milage will be around 70 miles. Expect to get your feet wet, but you should not encounter water more than knee deep. There will not be any services for the first 50 miles, and even then, the pickings are pretty slim in Tower and Soudan. But the general store in Tower has a great little ice cream bar and soda fountain. I will not have an aid station out on course this day (because I am going to be riding too!) so make sure that you are prepared to go all day. 8am: I will start collecting your luggage from your respective lodging. 9am Depart from Whiteside Park to head back to Silver Bay. Expect to see some of the same trails that you hit on the way into Ely, but then we will take a northerly route so that you can have Brunch at the venerable Trestle Inn. They only take cash! I will have drinks and food at the Trestle if you just want to resupply and boost. Note: I haul your gear to Ely, but please try to keep your stuff to a minimum. I am not going to lease a big box truck if I do not have to. No spare wheels and no extra bikes. You are responsible for you. Its that time again. Mark your calendars for September 9th through the 11th, 2016. Registration for the 6th Gravel Conspiracy is open (click on the registration link above). The tentative route (I am finalizing the route next weekend) will be to start from around Silver Bay and ride to Ely via double track, dirt roads, and gravel. Second day will see us on a big loop west of Ely, and then returning to town for a 2nd night. This really simplifies the logistics. The last day will have us rolling back to Silver Bay. As always, I take care of the transportation logistics of getting your stuff from the start to your lodging, but if you want to bikepack it, RESPECT! I will post the formal agenda in two weeks after I finalize everything with local authorities. GC15 was a blast, despite getting a toad of a truck from Penske. I wanted to post about this earlier, but I went on a bikepacking trip after GC. I will spin that yarn later. 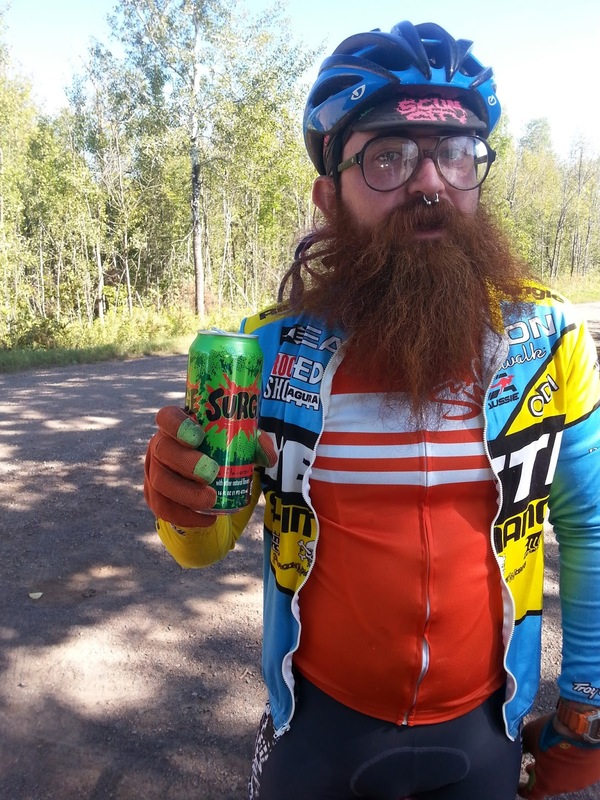 Ben Oney: "This year was my 3rd Gravel Conspiracy (I missed the first one). Each year I finish this event amazed that there aren’t 300 people demanding a spot on the roster. Admittedly, GC is hard to define. It’s not a race, but it attracts some fast riders who like to push themselves. It’s not bikepacking, but the route is as remote as anything you’ve ridden and you have the option of carrying your gear and camping every night if you wish. It’s not a party ride, but you’ll have access to a cooler of beer at some key points throughout the weekend." 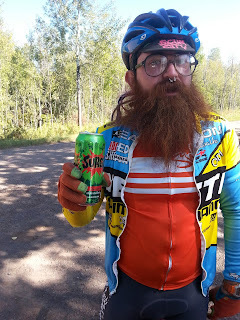 DeathRider: "The Gravel Conspiracy........To me, is...... three days of riding amongst the best terrain in Minnesota with your pals." Ben Mullin for CyclovaXC: "You are responsible for you". That was a direct quote and the general gist of Head Conspirator Josh Stamper's pep talk as we gathered around the truck Friday morning just north of Duluth. My third year of participation had me translating that statement to "You are responsible for you, and anyone you encouraged to also do this crazy thing." There is lots'o stuff on the book of faces. Google that mess. I was super pumped to get Nate Ball up here this year! We thought that replacing the filter would fix it. Spoiler Alert: it didn't. This guy. Sunshine on my shoulder. Nothing like the morning calm.